Private ski-in/ski-out access to the best skiing in North America. 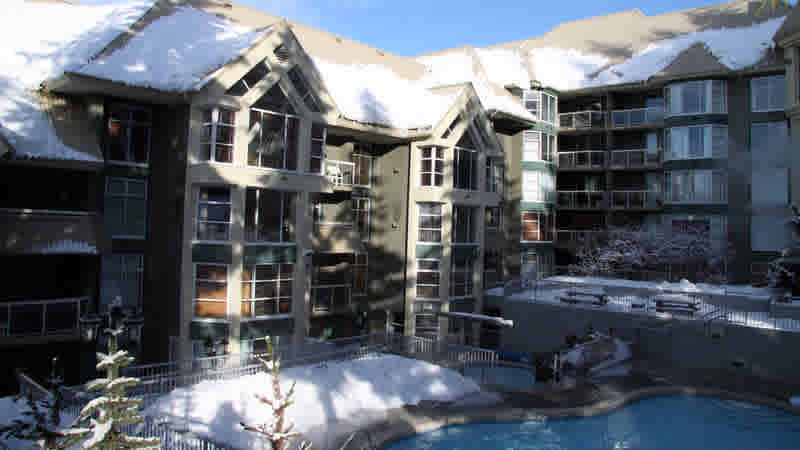 The Woodrun Lodge is an elegant condominium development on the side of Blackcomb Mountain, only a few yards down the slope to the Wizard Chair and a short walk to golf, tennis, Whistler Village and Lost Lake. The Woodrun Lodge offers beautifully appointed suites and grounds which provide the ideal setting for your family, the busy executive, or that romantic Whistler holiday. One Bedroom: One bedroom suites are fully equipped with kitchen, gas fireplace and balcony. Various bed configurations. One Bedroom and Den: One bedroom and den suites are fully equipped with kitchen, gas fireplace and balcony. Various bed configurations. Two Bedroom: Two bedroom suites are fully equipped with kitchen, gas fireplace and balcony. Various bed configurations. Two Bedroom and Den: Two bedroom and den suites are fully equipped with kitchen, gas fireplace and balcony. Various bed configurations. Three Bedroom: Three bedroom suites are fully equipped with kitchen, gas fireplace and balcony. Various bed configurations.